DENVER, CO – July 24, 2012 – More beer is brewed in Denver than any other city, so it is only natural that The Mile High City honors its brewing tradition with a nine-day celebration of all things beer. More than 150 beer-centric events are scheduled for the fourth annual Denver Beer Fest (#DenBeer), Oct. 5-13, 2012, including Meet the Brewer Nights, beer-paired dinners, firkin nights, brewer versus brewer competitions and the first-ever Denver Beer Fest-official Denver Beer Crawl. Denver Beer Fest is designed to overlap the Great American Beer Festival (GABF), the “Super Bowl of Beer,” which takes place Oct. 11-13, 2012, at the Colorado Convention Center. GABF is considered to be the most prestigious and coveted beer competition in America. It is certainly the world’s largest beer celebration with a Guinness World Record for the most beers ever made available for tasting at a single event – some 2,400 different brews from 500 breweries in 2011. GABF tickets go on sale on August 2, 2012, but craft beer lovers have to act fast. Last year, the event sold out in seven days and predictions are they will break that record in 2012. Denver Beer Fest is presented by VISIT DENVER, in partnership the Colorado Brewers Guild and the Denver Westword. This year’s sponsors include Boelter, the Downtown Denver Business Improvement District (BID), RTD-Denver and Denver Yellow Cab. 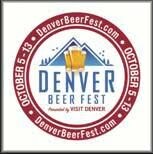 Visit DenverBeerFest.com for more information. Beer is booming in Denver and Colorado, with Denver doubling the number of breweries over the last 12 months. The first brewpub in the state was the Wynkoop Brewing Co., opened in 1988 by current Colorado Governor John Hickenlooper (who is the first former brewer to be elected state governor since Sam Adams in 1794). The Colorado beer industry contributes $486 million to the state’s economy on an annual basis, according to a study conducted by the University of Colorado in 2012. Watch this video to learn more about Denver’s craft-brew culture. The area between Denver, Boulder and Fort Collins is often called the Denver Beer Triangle and is considered to be the “Napa Valley of Beer” with the largest concentration of award-winning craft breweries in the country. This area is also home to the Coors Brewery, the largest single brewing site in the world. Denver ranks first in the nation in beer production per capita, and Colorado is home to four of the top-50 brewing companies in the nation. There are more than 140 breweries statewide. Denver was selected as the No. 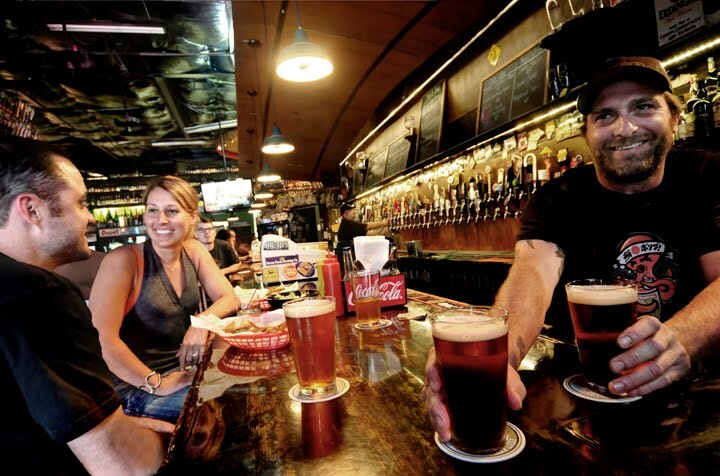 1 micro-brew beer city in the nation in 2011 by the readers of Travel + Leisure magazine. - 2012 GABF ticket sales dates set. - 10 ways to make the GABF even better. - 2011 GABF opening night photos.